Universidad Peruana Cayetano Heredia (UPCH) is a private university founded in 1961 by a group of students and professors who opposed the politicization of Peru’s public universities. 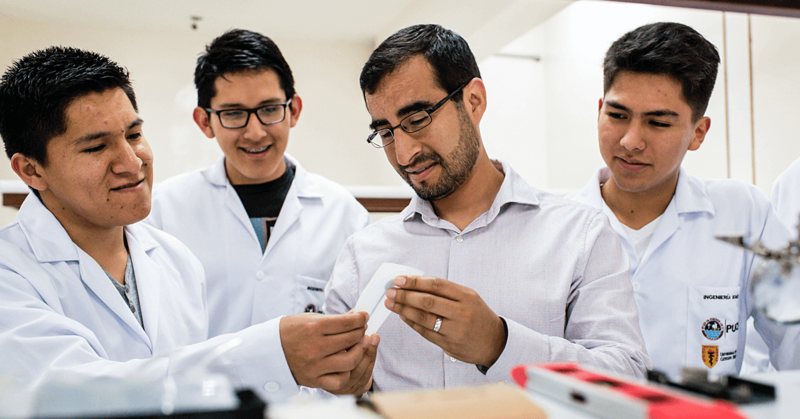 In 2017, UPCH and the Pontificia Universidad de Católica de Perú (PUCP) joined forces to create a joint program in Biomedical Engineering. 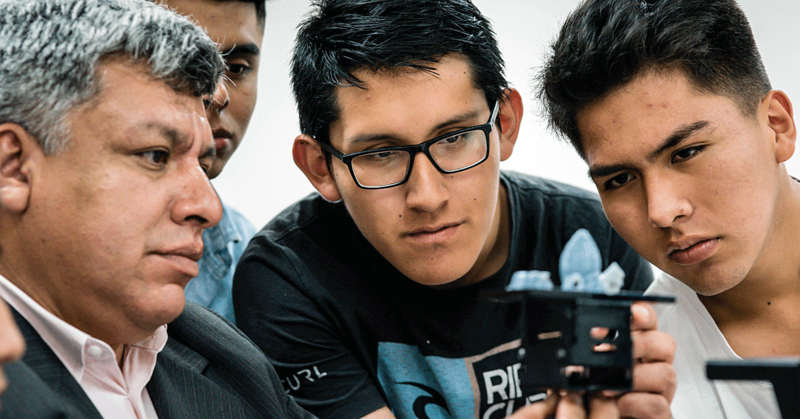 The new BSc training program is the first of its kind in Peru. Students takes courses both at UPCH and PUCP in the same semester, with full access to the labs and professors at both universities. Both institutions are also involved with the program's required independent research component. Research priorities for the joint program include biomedical imaging, tissue engineering, biomaterials, biomechanics and rehabilitation, and innovative use of technology to improve delivery of healthcare services. 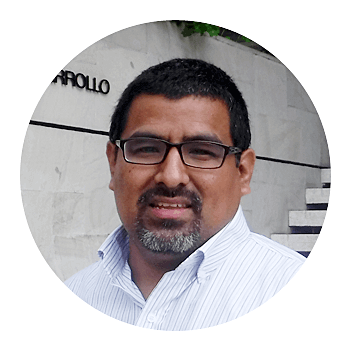 When Daniel Rueda, PhD, a biomedical engineering instructor at Universidad Peruana Cayetano Heredia (UPCH), heard that doctors were experiencing difficulty treating children with a birth defect called gastroschisis, he was determined to use his background in optics to help. Infants with gastroschisis are born with a portion of their digestive tract protruding from a hole near their navel. The condition is always fatal if left untreated, and surgery—usually performed in multiple rounds—is the only treatment option. Most children who undergo the surgery fare well, but they face two big risks: infection, and longer-term complications associated with loss of bowel tissue. Dr. Rueda learned that surgeons who perform this operation are faced with a difficult choice. They can err on the side of removing as little bowel tissue as possible in the hope of minimizing loss of long-term complications, but this makes the surgery more complex and increases the risk of infection. Or they can remove a larger section of bowel more quickly and cleanly, minimizing infection risk but increasing the likelihood of complications over the long term. Dr. Rueda proposes using a form of tissue imaging called optical coherence tomography to help surgeons make more informed choices for individual patients. The system he has in mind will allow surgeons to distinguish healthy tissue from tissue that is diseased or damaged, giving them much clearer guidance about what to remove. "An optical system able to identify certain parameters of the tissue associated with tissue viability (healthy tissue) during surgery will help doctors make better decisions during surgery and increase the life expectancy of these children," explains Dr. Rueda. He has established collaborations with researchers in the US and France to attack this problem. The team will soon begin by setting up a basic system in Peru to test on animal tissue. If successful, the project will be scaled with more precise instrumentation to evaluate human tissues. 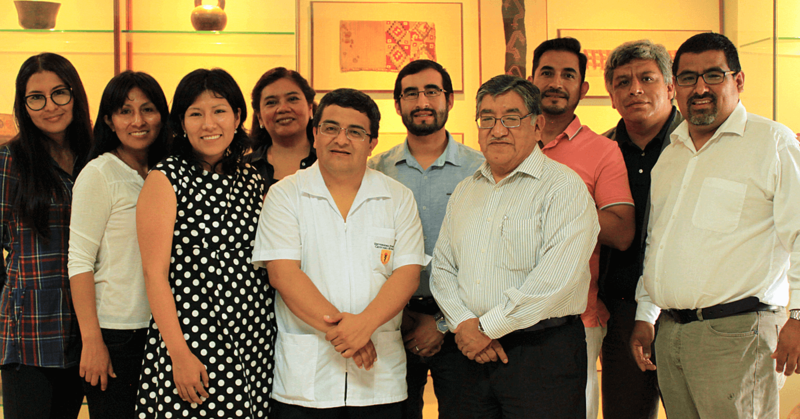 The Instrumental Access shipment will support this effort as well as many other new biomedical engineering projects at UPCH and Pontificia Universidad de Católica de Perú, which have joined forces to establish Peru’s first training program in biomedical engineering. In particular, Dr. Rueda hopes that the donation will expand capabilities for tissue culture, a prerequisite for tissue engineering. "In order to push our new projects around tissue engineering, we need basic equipment that allows us to start working with cells and tissues," explains Dr. Rueda. 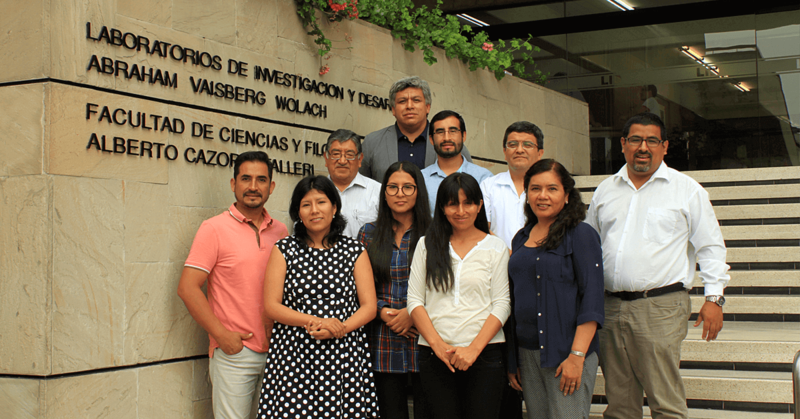 "It will allow not one but many different projects of researchers from Universidad Peruana Cayetano Heredia and Pontificia Universidad de Católica de Perú to start." Concerned with solving problems, biomedical engineering has great potential to transform healthcare systems and delivery at every level. Peru currently lags behind its Latin American peers in number of qualified biomedical engineers. UPCH needs equipment to expand and adapt existing engineering laboratory capabilities to support the nation’s first biomedical engineering program for undergraduates. The Centro de Salud Global at UPCH was an Instrumental Access 2016 awardee.